← Why Do We Have Food Cravings? Do NOT Listen To the FDA or Your Doctor About Your Diet! Isn’t it ridiculous that the above photos are what the American Diabetic Association recommends as a “healthy” breakfast…especially for diabetics? Americans have become much less likely to rate their diets as “Excellent” or “Very Good” in terms of healthfulness, even though the healthfulness of the American diet has undergone little change over this period. From an article on Yahoo Finance– Almost half of American adults say they need to change their diets so they can improve overall healthfulness, according to a 2012 survey by market research group, The NPD Group. The American Heart Association recommends that Total Fat be less than 6.5 g per day. They recommend lean meats and low fat dairy. They recommend that we eat SIX servings a day of grains. Grains are empty carbs and a major contributor to weight gain. They recommend only 3 to 6 OUNCES a day of lean protein! That is not enough for even one meal. The American Diabetic Association recommends 1590 calories a day, far less than what it takes to meet your needed nutrient needs. They recommend TWICE as many carbs as protein each day! Way to go in helping people stay dependent on insulin and contributing to poor health! 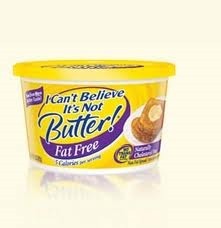 They recommend fat free dairy products. Their recommendation for a healthy breakfast? 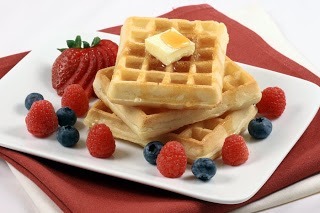 Whole Wheat Waffle, margarine, sugar free syrup (WATER, SORBITOL*, CONTAINS 2% OR LESS OF: CELLULOSE GUM, SALT, NATURAL AND ARTIFICIAL FLAVOR, CARAMEL COLOR, XANTHAN GUM, SORBIC ACID AND SODIUM BENZOATE (PRESERVATIVES), ACESULFAME POTASSIUM (NON NUTRITIVE SWEETENER)*, SODIUM HEXAMETAPHOSPHATE, PHOSPHORIC ACID, SUCRALOSE (NON NUTRITIVE SWEETENER)*), 3/4 cups of Berries, 6 ounces of Greek Yogurt and coffee with 1/4 cup skim milk and sugar substitute! Absurd! This breakfast gives you a whopping 46% calories from carbs, 15% of needed Vitamin D, 4% of needed iron, 8% of needed cholesterol, and only 18% of needed protein. Shouldn’t breakfast contain 1/3 of the nutrients we need each day? Part of the AMA Missions statement says; The need for our work is beyond question. Then why make recommendations that would keep Americans overweight and unhealthy? ALL of these recommendations are false and dangerous to your health. Organic bacon and eggs, cooked in butter or coconut oil, coconut milk yogurt, sliced tomatoes, and a handful of blueberries. Along with some organic free trade coffee or green tea this will meet your nutrient needs for a third of your day.